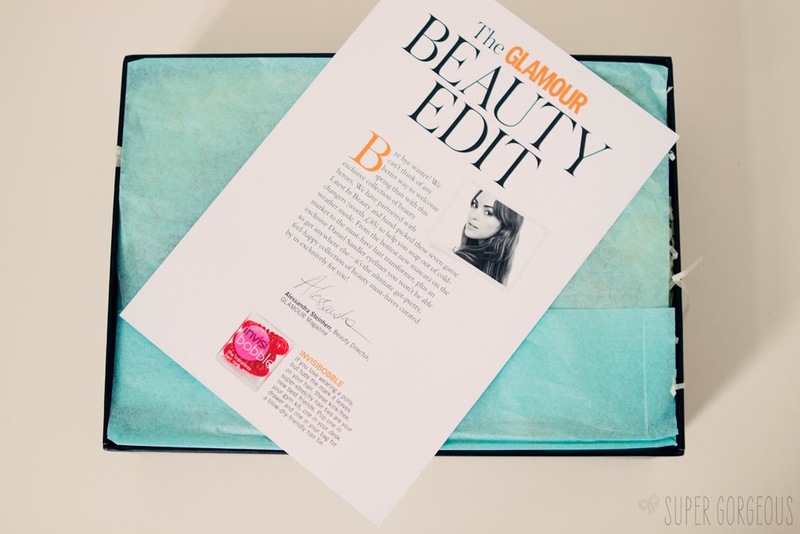 What's Inside my Latest in Beauty - 'The Glamour Beauty Edit' Spring Edition Box? This is a gorgeously scented shower gel that turns from a gel to a densely packed foam - super easy to apply, mess-free, and a little goes a long way. The size is perfect for travelling or the gym (if you're that way inclined!) Latest in Beauty have also included a code for 20% off at www.rituals.com which is pretty good as far as discounts go! The bumph promises that this will build natural lashes to their plumpest, lushest, maximum thickness. I have given it a whirl and it definitely adds volume and doesn't clump. The brush is really full, and is on a very flexible tip - I can't decide if I like this feature or not, but it does mean that you create a nice, even layer of mascara without over-doing it. Daniel Sandler created this stunning turquoise shade of his famous waterproof eyeliner purely for this beauty box - and what a great exclusive it is! The colour works perfectly with all eye colours, and will be fab for spring. 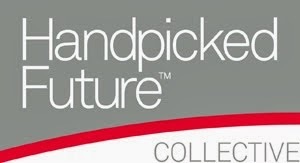 There's also a code for 20% off Daniel Sandler online - score! Cheeky is a new brand from the makers of Cowshed - and the nail polishes are amazing! This coraley pink will definitely be making numerous appearances on my nails! High quality, glossy, and gorgeous. Well this was a new one to me! These hair bands are like the springy piece of plastic that I used to have on a keyring as a child. They aren't invisible in the hair, but they do leave no trace of a having had a hairband in the hair, so no more kinks - hurrah! Perfect to chuck in your bag to tie your perfect 'do' up with when braving the windy weather, before letting it back out without any tell-tale signs once you're inside. Again, the perfect sized bottle for travelling or gymming - this mousse promises to give your hair extreme, lasting volume without the stiffness or stickiness. It's lightweight and smells good too - what more could you want from a mousse!? A girl can never have too many lip balms, and Burt's Bees Beeswax Lip Balm is definitely one that does what it's meant to do. It's enriched with Vitamin E which really nourishes your lips, and it isn't greasy - so it's perfect for pre-lipstick, plus it tastes of After Eights. They've also included a 25% off code for use on the Burt's Bees website. 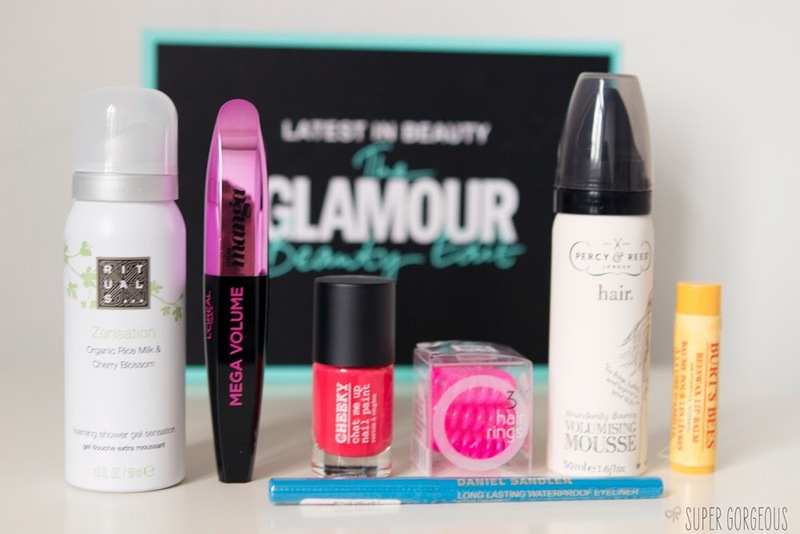 The box offers a nice variety of products for beauty junkies to enjoy, there's a nice even spread of make up, hair and body. Skincare is very personal, I feel, so I'm glad there's none of that in this box. 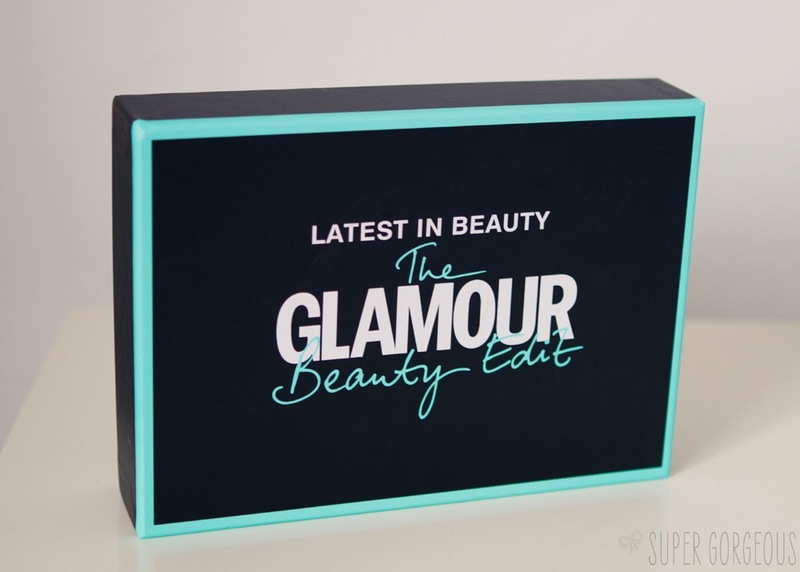 The contents of the box are worth £45, but Latest In Beauty are selling The Glamour Beauty Edit box for a mere £14.95 - definitely worth it. They're limited edition, so once they're gone they're gone. If you'd like to get your hands on a box - you can do so by clicking here.